Rural Municipality of Piney » Manitoba Health Community Meeting – Save the Date! Home / Manitoba Health Community Meeting – Save the Date! 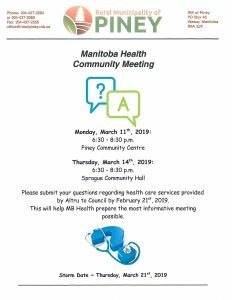 / Notices / Manitoba Health Community Meeting – Save the Date!